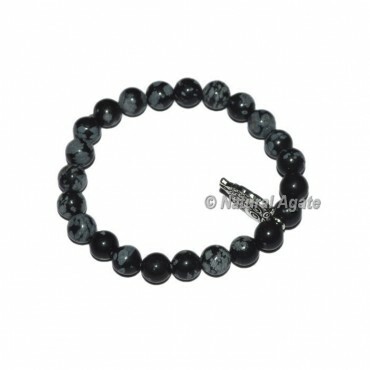 This pleasing bracelet incorporates an especially silly style with exceptionally cleaned snowflake obsidian globules joined with owl lock in. A stone of prudence, Snowflake Obsidian understands an acclimate to body, mind and soul. For any remarkable demand or change in setup connect with us particularly.